Dewansh Multi Solution - We are manufacturer and supplier of Garments. 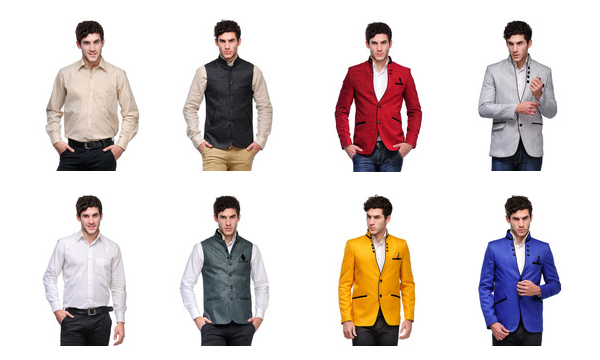 Giving individuality and appealing look to people by enhancing their personality through exclusive range of apparels. Our company is working as a certified Shirts, T-shirt, Lower, Men's Wear, Ladies Tops, Casual Shirts, Men's Shirts, Track Suit, Formal Shirt, Club Shirt, School Shirt, Corporate Shirts, Cotton Shirts, Half Sleeved Cotton Shirts, Pure Cotton Shirts, Designer Shirt, Plain Shirts, Long Sleeve Shirts, Embroidered Shirt, Office Wear Shirts, Party Wear Shirts, Lining Shirts, Check Shirts, Fancy Casual Shirts, V neck T-Shirt, Basic T-shirt, Round Neck T-shirts, Promotional T-shirt, Gents T-shirts manufacturer, exporter & supplier. Through constant delivery of these products, we are meeting the fashion requirements of diverse industries. It is the skin friendly texture, excellent finish and perfect fit of our range, which has increased its demand all over the world. Additionally, we brilliantly customize our products as per the specifications provided by the customers without compromising on quality and texture.